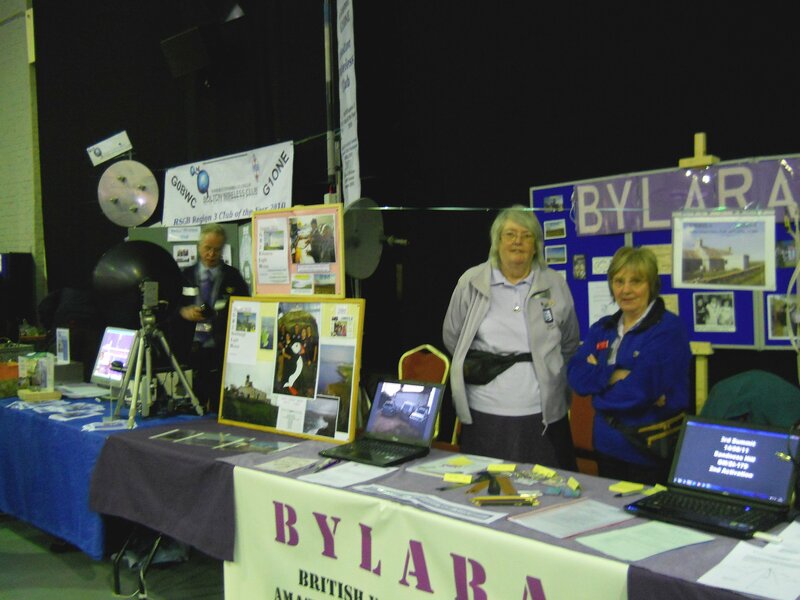 The British Young Ladies' Amateur Radio Association (BYLARA) was founded in April 1979 to further YL operating in Britain and so promote friendship, stimulate interest and, in particular, encourage good operating techniques and courtesy to all operators at all times. BYLARA is affiliated to the RSGB and membership is open to all. BWC Members can see our latest Newsletter in our Documents section. Every Wednesday from the 30th Nov 2011, Jenni M0HZT is starting new nets on 40m on 7.175 +/- QRM from 07.00 - 0900, 11.00 - 13.00 and 20.00 - 2200, using callsign M0BYL. Get togethers are organised at various Rallies throughout the country, keep watching this page for detail. BYLARA produce a magazine Spring, Summer, Autumn and Winter and any news or views are welcome. There are beautifully designed and colourful awards available for working YL members of BYLARA and are available to Shortwave Listeners on an "as heard" basis. All bands and modes, one contact per member. Open to all YLs, OMs and SWLs. No QSL necessary. BYLARA membership Numbers must be included. Work 15 YLs to include at least 6 British BYLARA members (G, GM, GW, GI, GD, GJ, GU etc). Work 10 YLs to include 5 British BYLARA members Britain and Europe. Work 30 YLs to include at least 10 British BYLARA members (G, GM, GW, GI, GD, GJ, GU etc). The BYLARA Award and Scottish BYLARA Award are available for working BYLARA Members and other YLs.